Indian Rupee plunged to an all time low of 56.90 rupees against the US dollar on 22 June 2012 on global risk aversion and demand for dollar. India’s slipping domestic growth, declining industrial output figure, RBI’s stringent monetary policy stance, persistent high rate of inflation and credit rating downgrade by international rating agencies like Fitch and Standard and Poor’s have prompted the worsening of Indian rupee against the dollar. Rupee, given its current trading status, is proving to be Asia`s worst performing currency. The currency has also been the poorest performer among the all-Asian currencies this week, on a 5-day basis. So far, the Indian currency had tumbled 6.7 per cent in the year 2012.
International credit rating agency Fitch revised the credit outlook of India to negative on 18 June 2012. The agency cited rampant corruption and stalled reform existing in the country as the reason behind the move to downgrade the country`s credit rating. The rating agency maintained the India`s sovereign rating at `BBB-`.However, The Union Finance Ministry rejected the agency’s rating and pointed out that foreign institutional investors (FII) have reposed their faith in the Indian economy and have already invested a net 12.3 billion dollar in the first five months of the calendar year 2012 compared to 8.3 billion dollar in the full calendar year of 2011.Another credit rating agency Standard & Poor`s had also revised the India’s credit outlook to negative in April 2012. S&P’s in its most recent report on India’s credit outlook released on 12 June 2012 had warned that given its sluggish growth rate and stalled economic policy reforms, India could be the first among the BRIC grouping nations to lose investment-grade rating. The World Bank in its report named Global Economic Prospects released on 12 June 2012, projected Indian economy to grow by 6.9% in the financial year 2012-13. The World Bank report predicted India’s growth increasing to 6.9 per cent, 7.2 per cent and 7.4 per cent in fiscal years 2012-13, 2013-14 and 2014-15, respectively. It estimates monetary policy, long paused reforms, persistent inflation and widening fiscal deficit for the country’s poor growth in 2011.World Bank advised India to take some corrective measures to improve the sinking growth. Indian economy grew by 6.5 per cent in 2011-12, the lowest in the past nine years. The economy had registered an impressive 8.4 per cent growth in the previous two years. While the Indian government had projected the economy to grow at 7.6 per cent in the fiscal year 2012-13, but given the prevailing economic and political situations in the country, the projected growth rate could be hard to achieve. According to data released by Ministry of Statistics of India on 1 June 2012, Bihar emerged as the state with highest economic growth rate in the country. 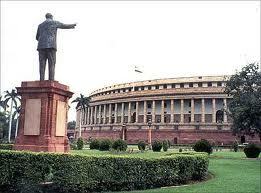 The state recorded an impressive 13.1 per cent growth in 2011-12. Bihar topped the list for second consecutive year. The state was closely followed by Delhi and Puducherry.